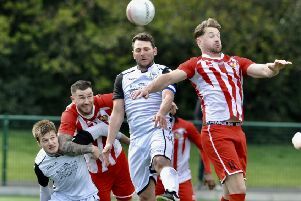 Hastings United Football Club is introducing a scheme where supporters can contribute directly to the first team playing budget. The Bostik League Division One South team will be introducing the initiative, known as the Fans’ Player Fund (FPF), for its home game against Shoreham today (Saturday, kick-off 3pm). Hastings United Football Club is launching a Fans' Player Fund initiative. Hastings manager Chris Agutter said: “I think it’s a fantastic idea. The money donated could be the difference between me being able to secure a 30-plus goal a season centre-forward or not, which as we all know could well be the difference between the play-offs and automatic promotion. “I also love the fact that the club is giving our incredible fan base some ownership in terms of directly contributing to the quality of player that we are able to put on the pitch, which can only have a positive impact on Hastings United FC. The club will create opportunities for supporters to donate into the fund, including matchday bucket collections, raffles, auctions of various club and football memorabilia and regular monthly donations, as well as one-off contributions. All of the money raised will be used to help Agutter and his staff invest in and develop a first team squad which they hope is capable of fulfilling both the club’s and the supporters’ ambitions. There will be volunteers with buckets collecting for the FPF at tomorrow’s game and the club hopes the fund will have a positive start. * HASTINGS United manager Chris Agutter wished to congratulate Lewes on their promotion to the Bostik League Premier Division.